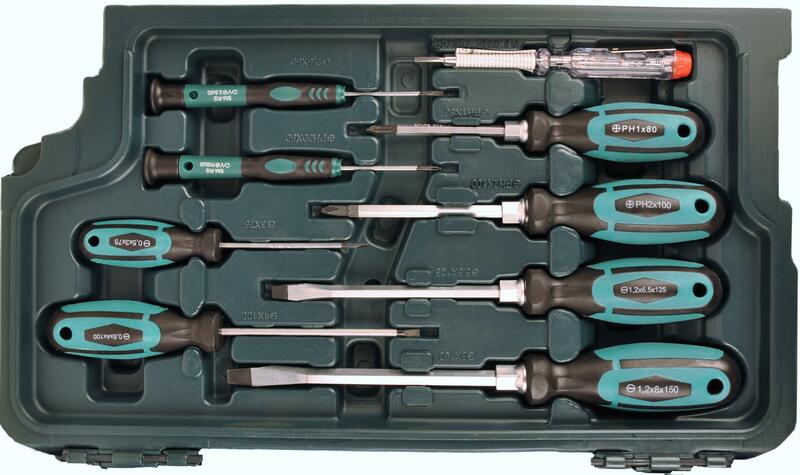 Since 1977, the company offers tools for DIY and professionals. 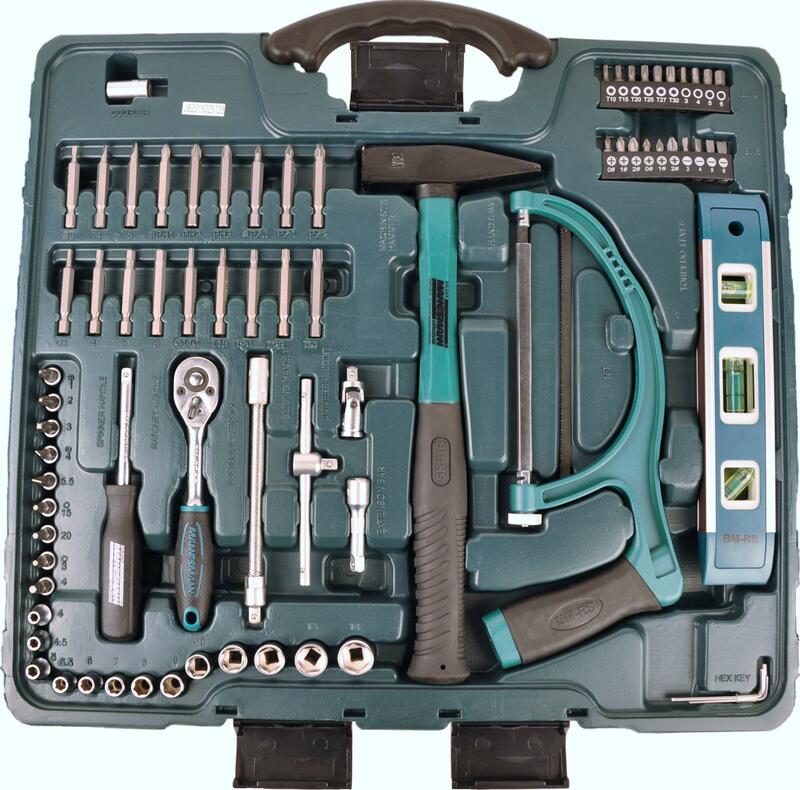 In addition to hand tools and Do it Yourself products, there are a variety of technical items and power tools. Brüder Mannesmann Werkzeuge currently offers you five tool lines and a total of around 8,000 products for every requirement and in every price range. The assortment is continually being expanded to offer you a new shopping experience over and over again. The ideal partner around the whole house for all necessary work. 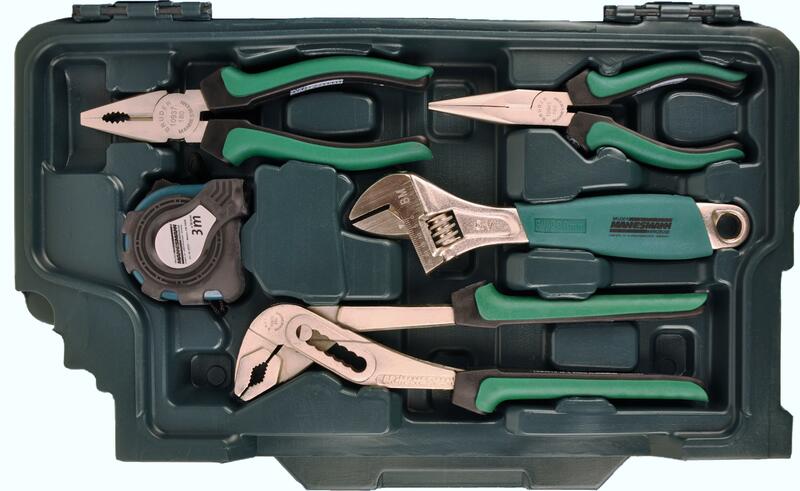 The hand tools are supplied in a robust, 3-part tool box with hinged hinges. 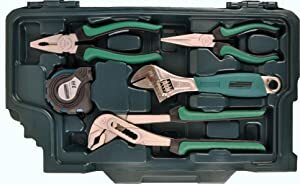 In addition to the pliers a telephone pliers for fine work and a water pump pliers is available. 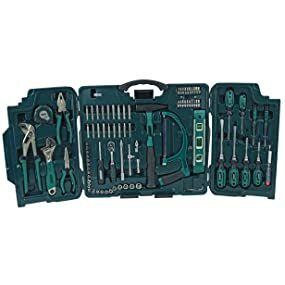 An adjustable wrench and a 3 meter measuring tape complete this part of the suitcase. 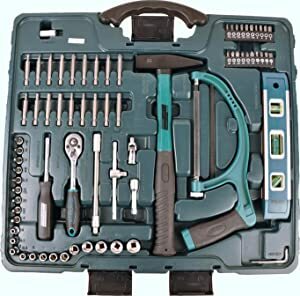 In the middle part of the tool case you will find a universal hammer with two spare saw blades, a torpedo water balance, a changeover ratchet, extensions, a screwdriver handle with square socket, 13 socket wrench inserts, and a large number of S2 steel bits.